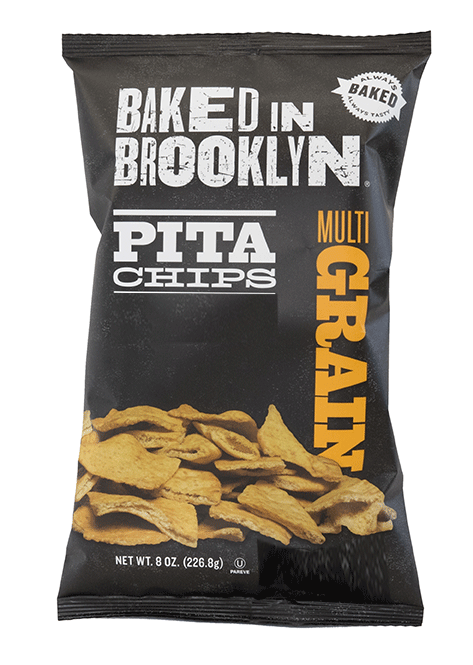 Our Multigrain Pita Chips are always baked—never fried—and have a crispy mix of high fiber whole grains. Our healthiest pita chip! Try them on their own or with your favorite dips, spreads and toppings. Enriched wheat flour (wheat flour, malted barley flour, niacin, reduced iron, thiamine mononitrate, riboflavin, folic acid), water, whole wheat flour, high oleic sunflower oil, contains 2% or less of each of the following: natural flavor, ascorbic acid, yeast, sea salt, evaporated cane juice, rye flour, rye meal, flaxseed. Contains: wheat.